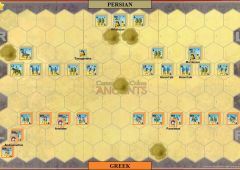 The attempt by the Persians to launch a punitive attack on Athens in 489 B.C. 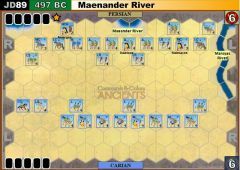 had failed when Datis and his expeditionary force were defeated at Marathon. 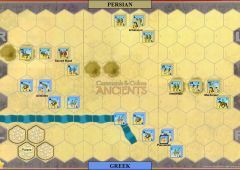 It was to be nine years before the next Persian assault on Hellenistic freedom. Xerxes, the Persian King of Kings, raised an army from the length and breadth of his empire and marched on Greece with an immense army although descriptions of it being over a million men strong are probably exaggerated. 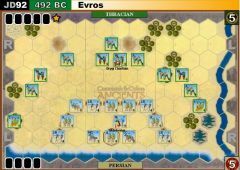 The Greeks attempted to hold Xerxes host at Thermopylae where 300 Spartiates under the Spartan King Leonidas II formed up with some 7,000 other hoplites in a narrow pass. The tale of the defence and eventual betrayal of this position is the subject for another scenario. 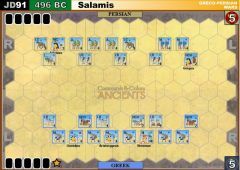 Suffice to say that the Persian host advanced south, forcing the Thebans to join them and were defeated by the Greek navy at Salamis. 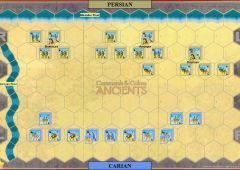 The Persian army was still very much in being, however. 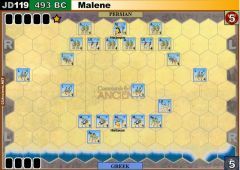 Due to supply difficulties, Xerxes himself returned to Asia with about half his army but left Mardonius behind in Boeotia with the more efficient troops. 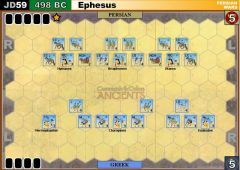 In the summer of 479 B.C., a confederated Greek force of some 60,000 hoplites under the command of the Spartan King Pausanius marched north to seek battle with the invaders. They took up position in the foothills of Mount Cithaeron where they were attacked by the Persian cavalry. 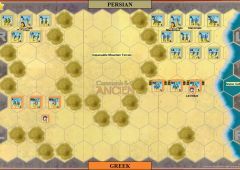 The Persians did not want to attack the strong Greek position while the Greeks did not wish to descend to the level plain where the Persian cavalry would be able to outmanoeuvre them. This went on for eight days. Mardonius then launched a series of cavalry raids which cut the Greek supply lines over the Megara pass. 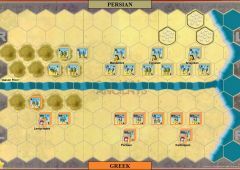 Strike one to the Persians! Still the Greeks waited. Mardonius cavalry harried the Greek forces and managed to pollute the fountain which true to Ancient Greek form had been left undefended. 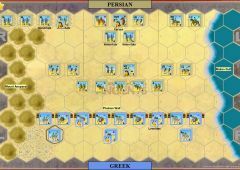 Strike two to the Persians! 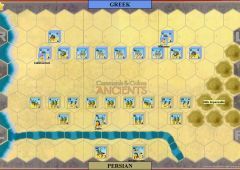 The Greeks decided to withdraw to a better position. The aim was to withdraw at night. 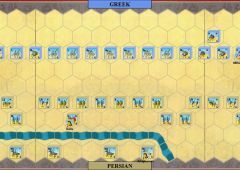 The centre pulled away first and reached the town of Plataea. 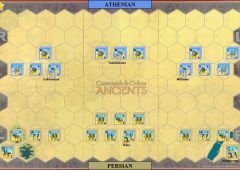 The Athenians then marched off. 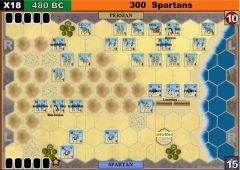 The intent was for the Spartans to do the same but one lochagos, Amompharetus, refused to withdraw his regiment claiming he should have been consulted before the decision was made. A protracted wrangle then ensued between Pausanius and Amompharetus which lasted almost until dawn when Pausanius marched the rest of the Spartan army off followed reluctantly at some distance by Amompharetus. 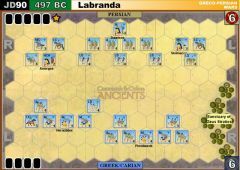 Mardonius had noticed by the light of the new day what had happened and marched out his army to attack the isolated Spartans. 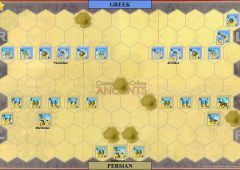 Pausanius sent messengers swiftly to recall the other Greek contingents as he drew up the Spartans on their ridge to face the advancing Persians. Like it or not, the battle for Greece had begun. 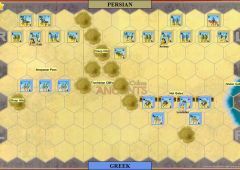 Pausanius held his troops on the ridge against, first, Persian cavalry then ever increasing numbers of Persian archers while he waited for the omens to be favourable. 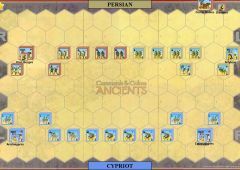 The disciplined troops held their line as volleys of arrows were directed at them. 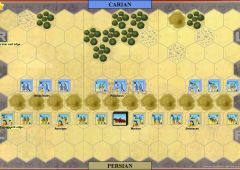 The Persian infantry stood behind a fence of shields and their depth and hence ability to manoeuvre steadily increased. 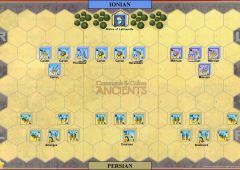 Finally, the Tegeans on the Spartan left could stand it no more and advanced down towards the Persians. Pausanius then found the omens OK and ordered a general advance. 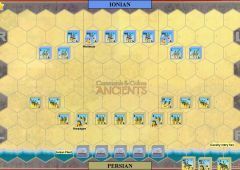 The fight was extended but the Spartan troops cut their way through the Persian forces. The 1,000 elite troops fought bravely around Mardonius who inspired his troops from horseback but could not hold back the pride of Sparta. 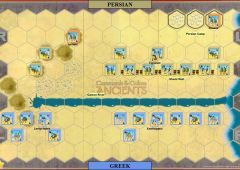 Finally, Mardonius fell and the Persians lost heart and fled towards their camp. 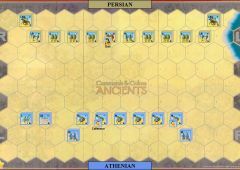 On the other wing the Athenians had defeated the Thebans after a hard fight in which the Theban Sacred Band was wiped out. The Persian camp was subsequently taken by storm and many Persians died there. 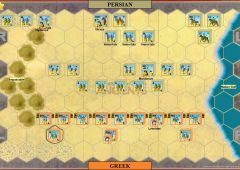 It appears that substantial numbers of troops escaped from the battle and made their way back to Asia but the Persian army had been destroyed as an effective fighting force and the Persians had been driven from Europe for the last time. 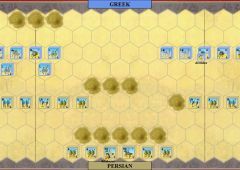 The Plataea hexes play as fortified camp hexes. The stream is fordable along its entire length.